The Mediterranean climate in Menorca offers warm and dry summers, whereas the winters are mild, but with quite a lot of rain. The spring gradually starts in March, but the temperatures are usually not really pleasant until April. 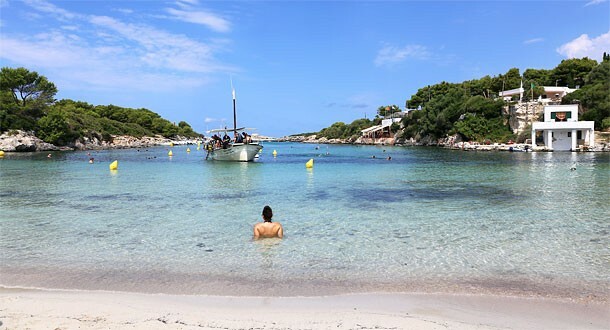 In May, the temperatures in Menorca become more summery and this is a good time for visitors, who prefer it when the island is a little less crowded. The average temperature during the summer is 25-30 degrees and it rarely exceeds 33 degrees. A light breeze also helps to make hot days more comfortable. The warm weather continues into the late summer and September is the perfect month to pay Menorca a visit. The weather in October is more unpredictable; it may be nice and summery, but it may also be cold and rainy. The water exceeds 20 degrees in June and stays warm long into October.